This news will not be a big surprise to many, but it seems that the first smartphones to use the newly announced Snapdragon 835 will be the Samsung Galaxy S8 and the Xiaomi Mi 6, at least according to reports provided by Kevin Wong, CEO of the IHS research company for China. Qualcomm announced that the powerful 10nm chipset will be produced at Samsung foundries. 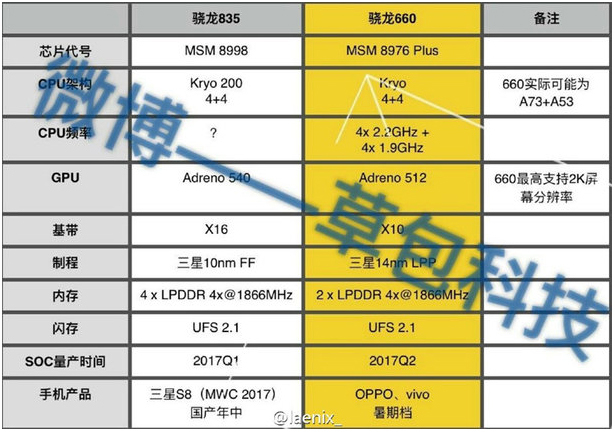 Since Samsung has been actively involved in the development of the Qualcomm Snapdragon 835, recently introduced by the California chipmaker, it does not seem like a rumor without any foundation, although in Xiaomi's case everything remains to be seen. Both smartphones could be presented at CES 2017 also with 256 GB of storage and released at a later date (according to Kevin Wong, both Galaxy S8 and Xiaomi Mi 6 should be on sale in March). In recent years, Samsung has always marketed its high-end smartphones with an Exynos chipset reserved for certain markets, and with a Qualcomm chipset for China and the US. This year, rumors have not yet circulated about a new SoC Exynos, from which it could be deduced that the future flagship of the Korean company would count in all areas with a Qualcomm processor to dedicate itself to the development of other technologies. For now is a rumor without official confirmation, but in the coming weeks we will definitely know. Today, the news about the launch of both devices are scarce, and in fact the only news more or less confirmed about the future of the Samsung Galaxy S8 is that it will have two virtual assistants instead of one, paying attention to the expression "it is better too much than not enough", since the Korean giant has decided to add a second virtual assistant to the one already foreseen, to avoid being accused of making distinctions of any kind. Not only will we find Bixby, male virtual assistant, but also female virtual assistant Kestra, as demonstrated by a new trademark registered by Samsung. The two artificial intelligences, which are a direct result of the recent acquisition of Viv Labs, should be able to make payments through voice commands, as confirmed by the Bixby Pay technology being developed by Samsung. The two brands are registered trademarks both in South Korea and the EU, to prevent a person from registering names with a certain similarity, Samsung registered, in addition to Bixby, also the names Bix-bee, Bix-by, Bix:)Bee and Bix:)By.